The Light Protection Airbag is our featherweight among protection airbags. 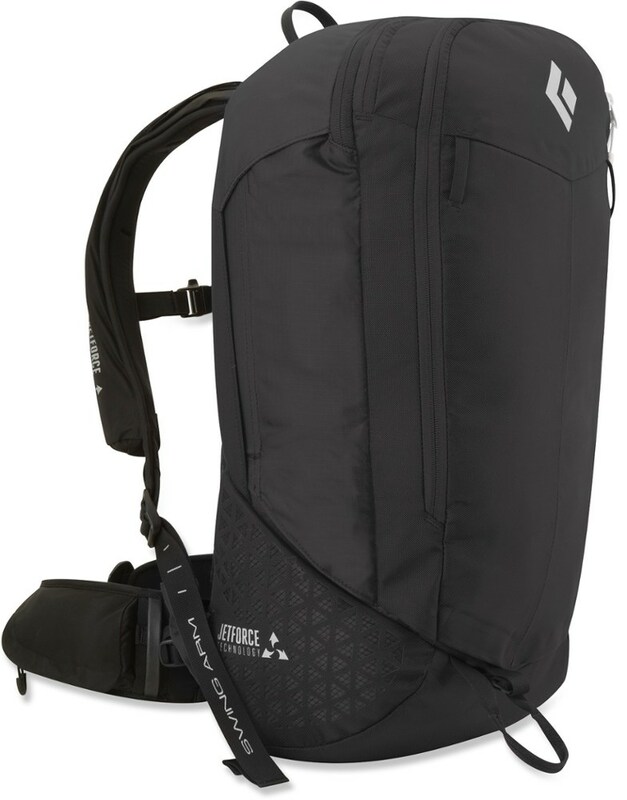 Including the Airbag System, the avalanche airbag weighs just 2,120 g. The top loader backpack delivers all the features you would expect from a good one-day touring backpack. Very comfortable to carry, with all the required attachment options and a large zipped opening at the front for easier access to the main compartment. 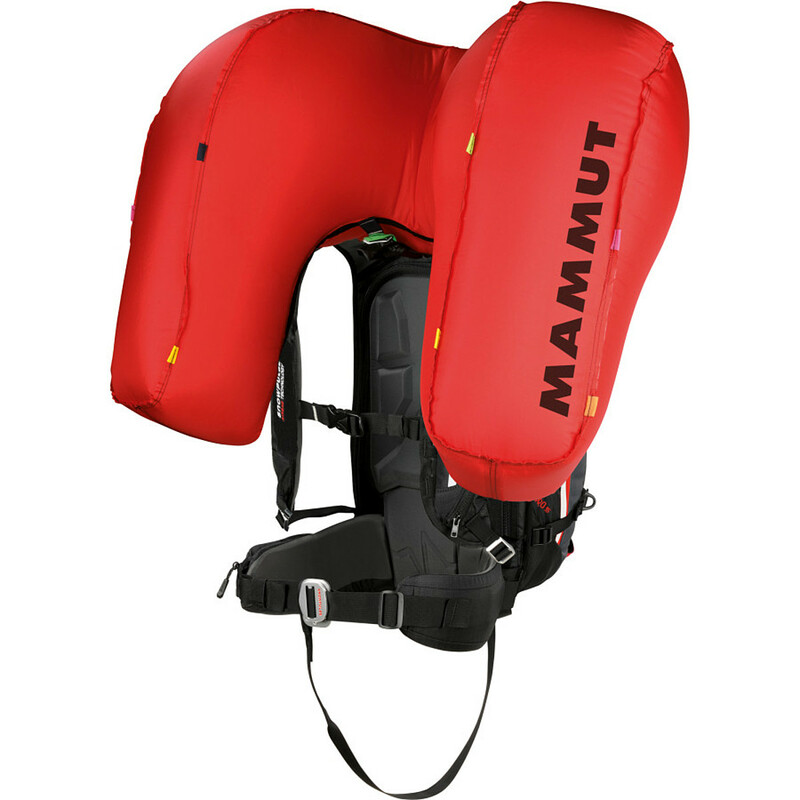 Visit Mammut's Light Protection Airbag page. The Light Protection Airbag 30 Pack uses the Protection Airbag System to help prevent burial and trauma in an avalanche, and it carries your shovel, probe and other gear for light backcountry days. The lightest in Mammut's line of avy protection packs, the Light Protection airbag backpack is a tough, fully featured featherweight. With a 30-liter capacity, it's just large enough to accommodate all your avy gear, an extra layer, an a light snack, and keeps the construction light without sacrificing features. It has Mammut's new Protection avalanche airbag system to protect your head, neck, and chest from trauma and Head on Top technology to keep you on the surface with your face up. 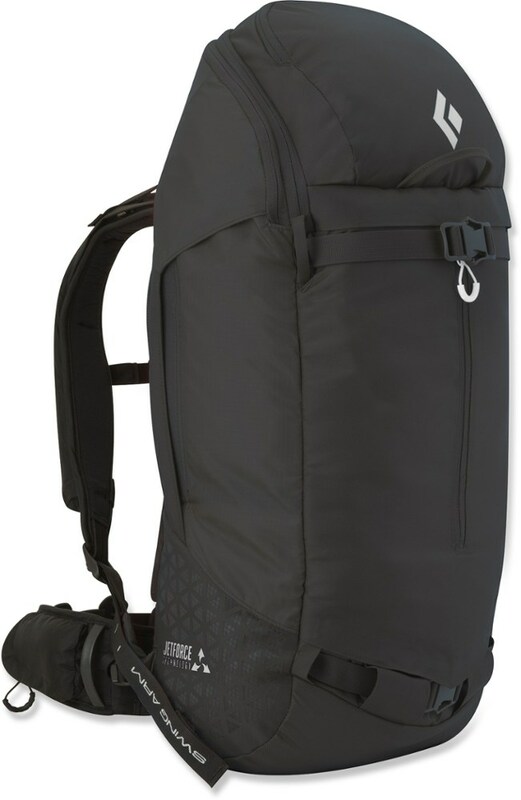 A safety leg loop keeps backpack in position in the event of a slide. An adjustable aluminum V-frame places the load comfortably on your hips, and a thermomoldable back fits like a glove for all-day comfort. 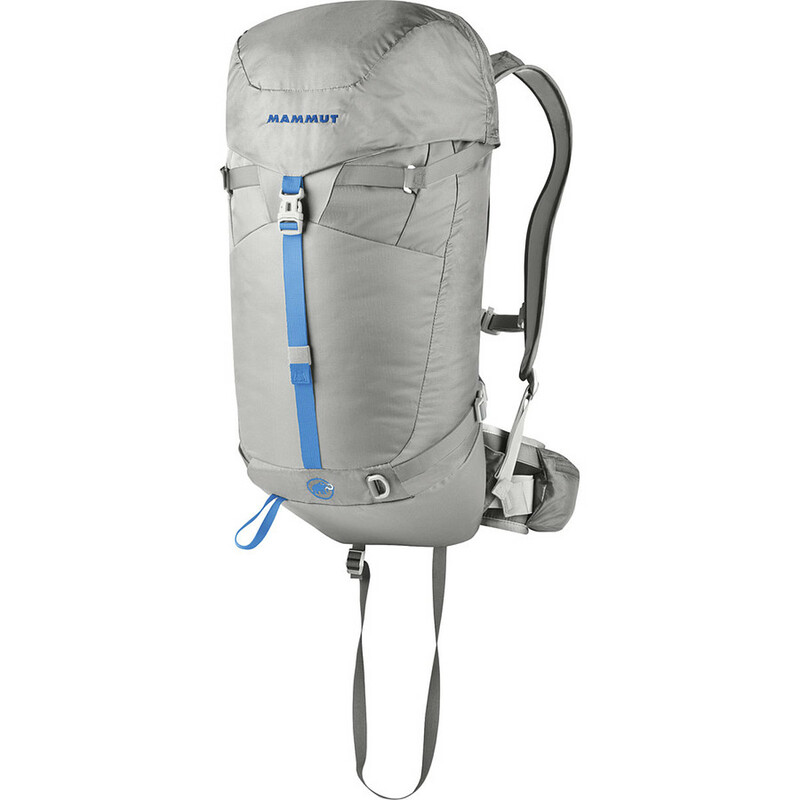 The three-step back length adjustment ensures the pack doesn't droop or fit improperly. Attachments for skis, snowboard, and axe-pole keep your gear secure and organized. The hip-belt pocket and multiple pockets in the top flap hold frequent-use or smaller items. 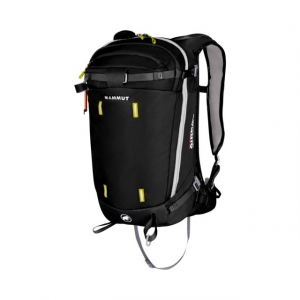 Store your avalanche tools in the internal compartment, and keep your hydration system at hand in this pack. And access everything via a large front zipper, because sometimes speed means everything. Please note that this system does not include the Refillable Compressed Air Cartridge, which is available separately (MAM0939). And please remember, this airbag system is NOT a guarantee that you will survive an avalanche; get educated, get the right tools, travel with partners, and be smart out there. The Light Protection Airbag is Mammut's featherweight among protection airbags. 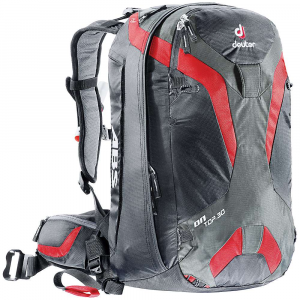 Including the Airbag System, the avalanche airbag weighs just 2,120 g. The top loader backpack delivers all the features you would expect from a good one-day touring backpack. Very comfortable to carry, with all the required attachment options and a large zipped opening at the front for easier access to the main compartment. Includes pack, airbag/engine, no cylinder. 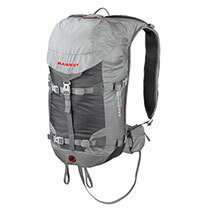 The Mammut Light Protection Airbag is not available from the stores we monitor. It was last seen February 24, 2018	at REI.